Julia's Child by Sarah Pinneo, 279 pages. Available in paperback, ebook, Kindle, and Nook from Plume. A delectable comedy for every woman who's ever wondered if buying that six-dollar box of organic crackers makes her a hero or a sucker. Julia Bailey is a mompreneur with too many principles and too little time. Her fledgling company, Julia's Child, makes organic toddler meals with names like Gentle Lentil and Give Peas a Chance. But before she can realize her dream of seeing them on the shelves of Whole Foods, she will have to make peace between her professional aspirations and her toughest food critics: the two little boys waiting at home. Is it possible to save the world while turning a profit? Julia's Child is a warmhearted, laugh-out-loud story about motherhood's choices: organic vs. local, paper vs. plastic, staying at home vs. risking it all. This book came at the perfect time - I have been slogging through a few books lately and I was able to zip through this entertaining read that appeals to my foodie interests and mom sensibilities. Sometimes I can identify exactly why I like a book - and in this case, it reminded me of my little start up biscotti baking business. In my twenties, working at my first job as an accountant (bleck) I became fast friends with the only other fresh out of college gal- hiya L! We shared a love of cooking, taking classes together at Williams Sonoma and baking cookies at Christmas. We received such good feedback on our biscotti we went into business - making them in a small rented community center kitchen and selling them to a few coffee shops. This was before Starbucks left Seattle and coffee was all the rage - oh if we'd only known! We entered into this venture completely blind, sans business plan - totally flying by the seat of our pants. It was fun, and exhausting - we had a good chuckle about baking while aerobics class was going on in the adjoining gymnasium, those ladies must have wanted to throttle us. I also recall waking up my sister right after she had a baby to see if she would make a delivery to my building as I had been up all night cooking and called in sick. Sorry, C - you were very kind not to smack me. It didn't last long - we came to the point where we needed help but didn't know how to expand properly and didn't seek out any guidance. I think we were too tired to think more than a week in advance. But I remember those months fondly and this book brought me right back. And I wonder if I had been 30 something with kids during this time, if my life wouldn't have looked EXACTLY like Julia's. Julia is principled and frazzled, cobbling together bits & pieces of a business plan as she goes. Having sunk her family's savings into making organic baby food, she is quickly approaching the time when she either needs to hit it big or pack it in. If I hadn't known better (see above) I would have thought she was a real mess and wondered how she had even come this far. But a supportive husband, and savvy business partner, along with some luck start to open doors and then it gets crazier. I agree with Kirkus Reviews that this is an I Don't Know How She Does It for foodies (good thing I saw that blurb before I hit publish, apparently what began as an original thought turns out isn't). Clearly it's success hinges on whether Julia is likeable and real - I thought so. It is amusing, timely, and entertaining - a perfect antedote to being stuck in the reading weeds. Or like skipping over a heavy dinner and going straight for the dessert. I'll choose the winners Friday noonish est. Paris, My Sweet: A Year in the City of Light (and Dark Chocolate) by Amy Thomas, 304 pages. Available now in paperback, Nook, Kindle and ebook from Sourcebooks. Forever a girl obsessed with all things French, sweet freak Amy Thomas landed a gig as rich as the purest dark chocolate: leave Manhattan for Paris to write ad copy for Louis Vuitton. Working on the Champs-Élysées, strolling the charming streets, and exploring the best patisseries and boulangeries, Amy marveled at the magnificence of the City of Light. But does falling in love with one city mean turning your back on another? As much as Amy adored Paris, there was part of her that felt like a humble chocolate chip cookie in a sea of pristine macarons. PARIS, MY SWEET explores how the search for happiness can be as fleeting as a salted caramel souffle's rise, as intensely satisfying as molten chocolate cake, and about how the life you're meant to live doesn't always taste like the one you envisioned. Less a memoir than an anecdotal travelogue to delectable desserts - this could easily be titled Sweets and the Single Girl. While there is the standard lament over romantic prospects - Thomas' biggest quandary seems to be more like torn between two cities. Where shall I make my home? What should my life look like? Why aren't I happy/content? Do not fear,for it does venture far into the philosophical, but veers instead into her diversion of choice - seeking out the best fill-in-the-blank treat. For every dessert sampled in Paris, Thomas can relate or compare to an item from NYC and you end up with a she said/she said tour of the patisseries and bakeries in both cities. I particularly enjoyed reading the stories of the New York start ups and the rich history of Paris shops. And while I found the personal bits stretched thin, the descriptions of sugary goodness are where her writing shines. Be sure to have something sweet nearby - you cannot help but crave a little somethin' while reading this one. One element that is lost reading it on the Kindle is the handy reference list at the end of the book which details all the places to get the best you name it sweets (and maps too). That is info I like to see on paper, but that's what libraries are for, yes? And I recommend you find this book before you go to either place - it takes you a bit off the beaten path toward less obvious or touristy spots. Paris, My Sweet: A Year in the City of Light (and Dark Chocolate) by Amy Thomas, 288 pages. Available today in hardcover, Kindle, Nook from Sourcebooks. Part love letter to New York, part love letter to Paris, and total devotion to all things sweet. Paris, My Sweet is a personal and moveable feast that’s a treasure map for anyone who loves fresh cupcakes and fine chocolate, New York and Paris, and life in general. It’s about how the search for happiness can be as fleeting as a sliver of cheesecake and about how the life you’re meant to live doesn’t always taste like the one you envisioned. Organized into a baker’s dozen of delicacies (and the adventures they inspired) that will tempt readers’ appetites, Paris, My Sweet is something to savor. A fun and light romp through the boulangeries, patisseries, and chocolateries of New York City and Paris - I am over halfway through and can say with certainty you will need to keep a little chocolate nearby. Her descriptions of flaky, buttery and chocolaty treats are mouth watering. And I love the lists and guides to all her favorite sweet shops in both cities. Here is your chance to get a copy, hot off the presses. Just leave me a comment and tell me about your favorite pastry or dessert. Comments will close Friday at midnight, est. Bonne chance. Tout Sweet: A Memoir by Karen Wheeler, 320 pages. Available in paperback, Kindle, Nook, and ebook from Sourcebooks. Blogger and fashion editor Karen Wheeler has written an entertaining account of her spontaneous decision to move from London to the French countryside. She intends not just to renovate her falling apart home but her falling apart life. I found Wheeler's writing style very engaging as we follow her adventures navigating small town life and language, all with aplomb. She is honest about the highs and lows, particularly her relationships with new friends (you couldn't make up these characters). There was an odd side story involving one a disagreement with one of her crew that was never fully resolved and I can't help but wonder at what really happened, I found its inclusion curious. Other than that I fell in love with the little details, the day-to-day - walking to the market, the boulangerie, and the bookstore seem so much grander (and possible) in France. Wheeler's story doesn't end here...there is a sequel, already published overseas and available used on amazon called Toute Allure and a third book Tout Soul coming out this year. There is also her blog http://www.toutsweet.net. Season to Taste: How I Lost My Sense of Smell and Found My Way by Molly Birnbaum, 320 pages. Available in hardcover, Kindle, Nook, and ebook from Ecco. Less the foodie memoir I anticipated, and more about the science of smell, which it turns out is FASCINATING. Sometimes the science-y statistics can ruin books for me, but not in this case. Birnbaum knits together her narrative with visits to the smell clinic and flavor factory (where it seems all food develops its synthetic flavoring - yikes). I am always drawn to stories where the determined course appears fixed until something (tiny, or in this case near tragic) steers it in an altogether different direction. I obvioulsy knew of the link between smell and taste, as does anyone who has ever had a nasty head cold, but had not thought of the long term implications of losing one of those senses. Not to mention the association of scent and memory - our mother's perfume, best friend's house, freshly laundered sheets, the change of seasons, new baby. What about all the dangerous smells - like rotten food ? Crazy, right? So of course, I led our family on a hold your nose while you eat this experiment. And it rocked our world a bit. If you are even a little curious, I recommend Season to Taste for skillfully combining personal and factual into a recipe for readable. The Kitchen Counter Cooking School: How a Few Simple Lessons Transformed Nine Culinary Novices into Fearless Home Cooks by Kathleen Flinn, 304 pages. Available in hardcover, Kindle, Nook, and ebook from Viking. From the description you might think this is another one of those preachy food books, glomming on to the latest in guilt tripping readers about their shoddy diets and lack of a sustainable farm in their backyard. Well, it isn't. Author Flinn does tackle the problems of modern shopping and consumption, but she comes by it honestly. Her authentic approach to changing the way these nine women (and this reader) think about cooking is refreshing and accessible. The experiment - to follow her students into their pantries followed by a series of basic cooking classes - works because Ms.Flinn is passionate and relatable. She understands the limits of the typical home cook - budget, time, skillset- and is able to weave a narrative around each of these obstacles that is helpful rather than annoying. Ms. Flinn's gentle way with her students encourages them and readers, while honoring their circumstances. I found her to be an incredibly thoughtful instructor and writer. I loved this book and am planning to reread as a reminder that real food is always a better choice over the quick fix. It is worth it to mash my own potatoes, bread my own chicken tenders, and dress my own salad. 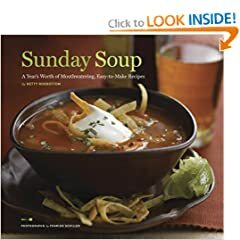 You know how I love a good foodie book, and this one has become an instant classic on my shelves. I am delighted to be able to give a copy away. Leave me a comment and share your biggest struggle in the kitchen. Mine is assembling a meal with the ingredients I have...especially towards the end of the week. I'm pretty organized about my grocery list, by the time it comes to cooking I struggle to find a recipe to accomodate some of the ideas I may have had while shopping. That and I'm tired by the time Thursday rolls around :). Kathleen Flinn's first book The Sharper The Knife, The Less You Cry, and is on my TBR list. For the author's website: http://www.kathleenflinn.com. There are bios on the partcipants and recipes here. Here is the first installment of my 2009 Gift Guide. This series is in support of the blog movement I'M BUYING BOOKS FOR CHRISTMAS. By no means an exhaustive list, but they all caught my attention. COCO: 10 World Leading Masters Choose 100 Contemporary Chefs - from the Editors of Phaidon Press - The cover caught my eye, and typically I enjoy the design of the Phaidon books. In the store it was shrink wrapped, so I didn't get to flip through. 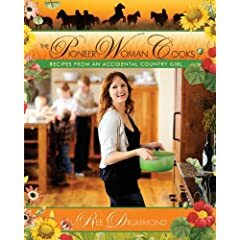 The Pioneer Woman Cooks by Ree Drummond - Now that you've emerged from the rock you've been living under you can catch up on the last few years of The Pioneer Woman blog. And when you are done, you'll want this book. I'm giving a copy away....if you can make it to the end of this post. 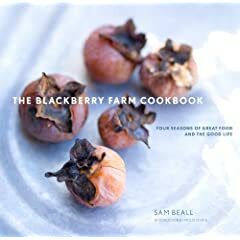 The Blackberry Farm Cookbook by Sam Beall - I have always wanted to go the Inn at Blackberry Farm in Tennessee. And perhaps the book can transport me, or appease me temporarily. And again with the gorgeous food photography...my mouth waters. 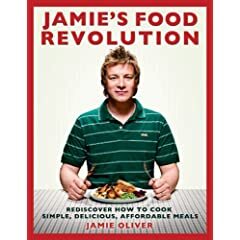 Jamie's Food Revolution by Jamie Oliver - This will be good. How do I know? 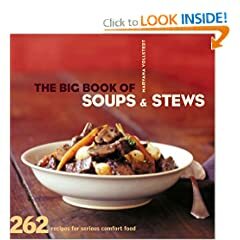 All of his books have straightforward recipes that TASTE GREAT. He is one of my favorites. 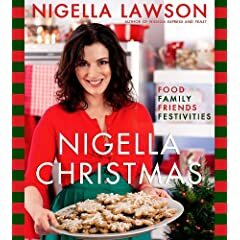 Nigella Christmas by Nigella Lawson - Not a fan of the cover, it looks a little too Rachel Ray meets Martha and Nigella isn't a poser (or a poseur). But what I appreciate about Nigella isn't so much the food, but how she describes food that causes me to want to eat whatever she's talking about that very instant. 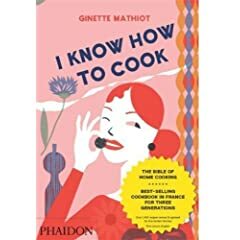 I Know How to Cook by Ginette Mathiot - Another Phaidon, highly recommended albeit for someone who already knows how to cook. Hence the name. 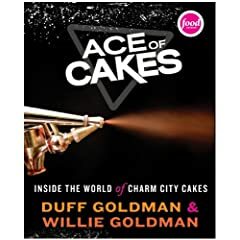 Ace of Cakes from Duff Goldman - Duff has put the Charm back in Charm City. If you like to watch the show and it's array of artsy characters, you'll love the book. Not as much of a cookbook as a behind the scenes, this is how we do it kind of thing. Totally satisfies my curiousness about the inner workings of this popular bakery. Kevin Zraly's Windows on the World Complete Wine Course - We have one of the older versions of this book, and if you are either looking to update (like us) or new to wine by the book, I can't say enough good things about it. He makes it easy and interesting to learn about wine without any of fuss or frippery. 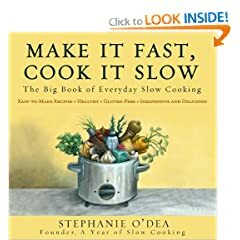 Make it Fast, Cook it Slow by Stephanie O'Dea - If you've followed along with her blog Crockpot365, then you already know she can make anything in that pot. 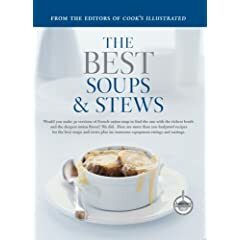 And if you are like me and think there surely must be more options than a can of cream of mushroom soup and a packet onion soup mix, then this is for you (and me). 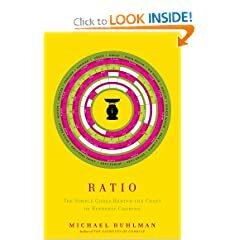 Ratio by Michael Ruhlman - I've been a fan since The Making of a Chef, where he chronicled his time as a student at the Culinary Institute of America. Here he breaks down the science of recipe construction and if you have always wanted to start creating your own dishes this will help balance out the flavors. I can't wait to read it. Mad Hungry by Lucinda Scala Quinn - After seeing the title, this pick should not require an explanation. I'm also pretty sure you will like it even if you are a family of girls. Real food with a side of bacon. Along the lines of feeding the dudes...I'm looking for a bread cookbook (no machine, just my mitts) that will be easy and relatively fast. I can no longer justify buying $15 worth of the stuff each week. So please let me know if you have any recommendations. If you made it this far, I'd like to thank you for reading. I'm giving away a copy of THE PIONEER WOMAN COOKBOOK. Just leave a comment - if there's a book here that catches your eye, or you have another title on your wish list, please share. This information isn't required to enter, I'd just like to know. Giveaway ends Wednesday, November 25th @ midnight. Curious? Read about it on this post @ Books on the Nightstand. reviewed here. With a bonus review/comparison of Cooking and Screaming. What's cookin' at your house?